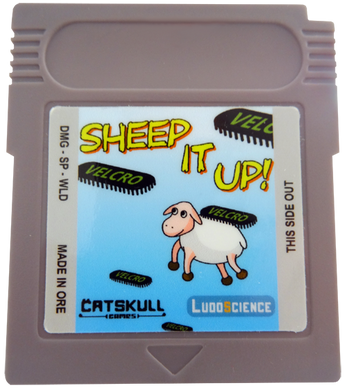 Sheep It Up! 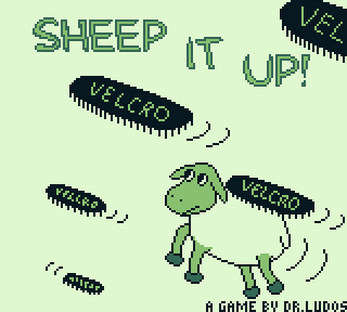 is an arcade game where a sheep has to climb up by hanging himself to flying velcro straps. The concept is simple, but the game rapidly gets quite challenging: how high can you climb without falling down? This is an actual Game Boy game, playable on any model of the console: from the original Game Boy to the Game Boy Advance SP including the Game Boy Pocket, the Game Boy Color, the Super Game Boy and the Game Boy Player! 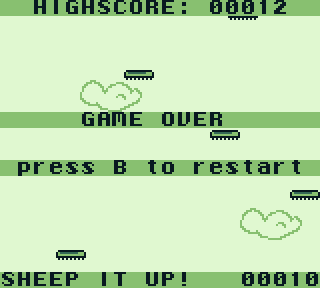 Of course the game will also run in any Game Boy emulator program. To play it on a emulator, you can download the ROM file of the game here. 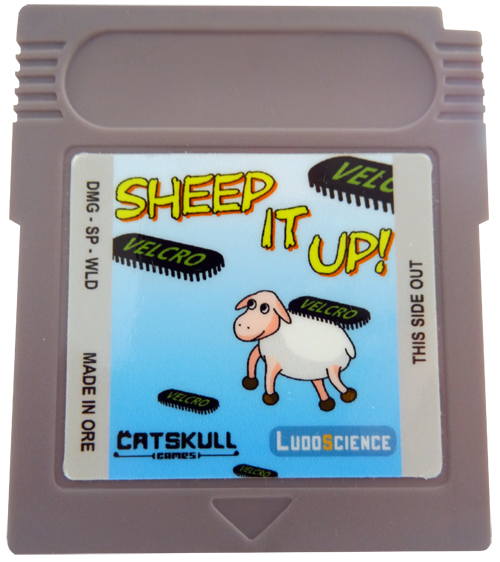 If you want to play it on an actual Game Boy, you can buy a Sheep It Up! cartridge for a mere 15$ (+shipping). The game cartridges are made with newly manufactured parts, and are assembled by hand! So simple, but so amazing ! Really GooD game ! What is your current highscore? Woaw, even I never reached this high score - congrats!